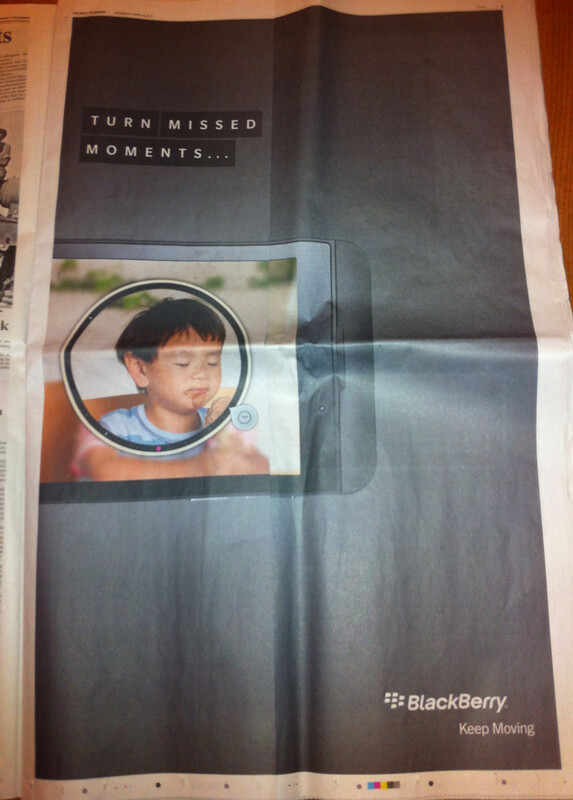 It’s rare that press advertising wows me with its creativity these days, but Blackberry’s ad in today’s Daily Telegraph really impressed me. There’s no doubt that Blackberry have a huge task ahead of them to catch up with the likes of Apple and Samsung when it comes to smartphone market share, but with innovative ways of promoting innovative features such as this, I wouldn’t write them off just yet. 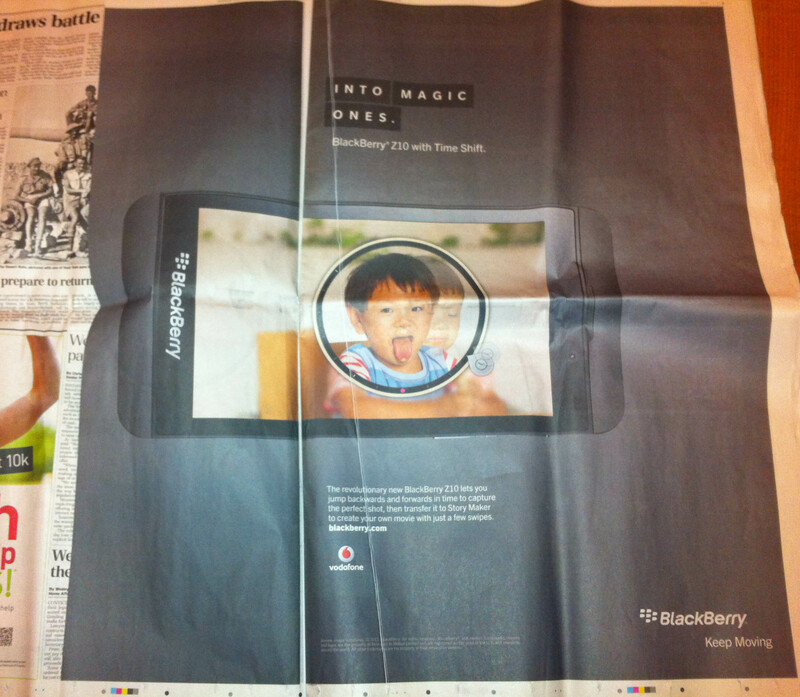 This entry was posted in Case Studies, Marketing and tagged Blackberry, creativity, Daily Telegraph, marketing, print advertising, Z10 on March 6, 2013 by Steve Revill.